Crystal washed and draining. I love washing and cleaning things. There is something therapeutic about it. I especially love it when I'm alone. I put on classical music...or old rock, depending on my mood. And I get completely in the zone. Again...very therapeutic. 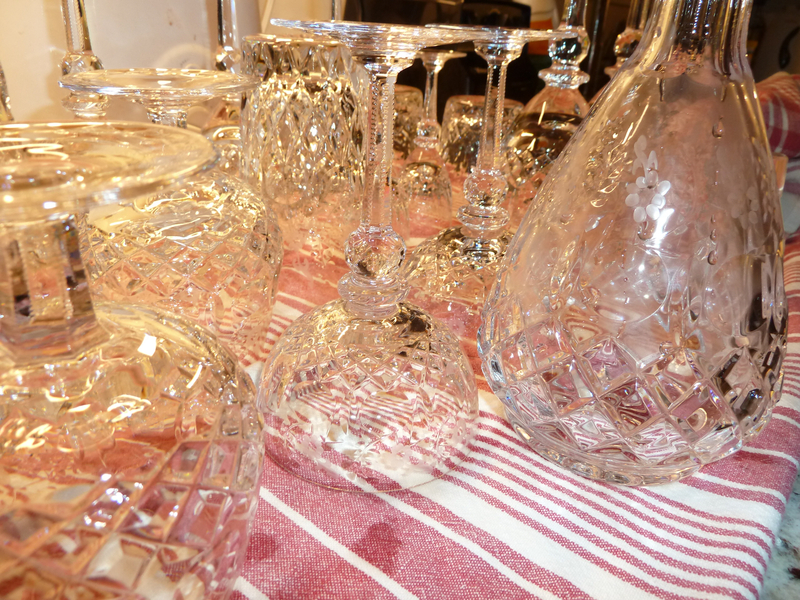 All polished and shiny and ready to be put back in my great grandmothers China cabinet. Everything but my Cordial Decanter is put away now. 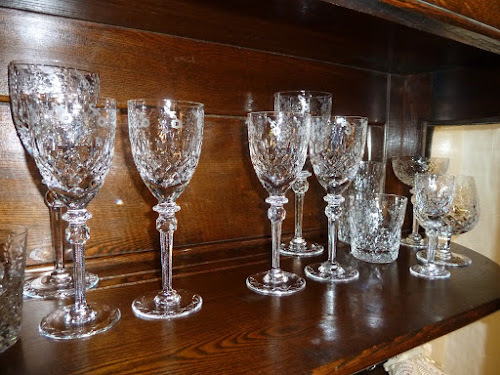 Tomorrow I am going to wash my old Wedgwood Dishes. They are lovely. 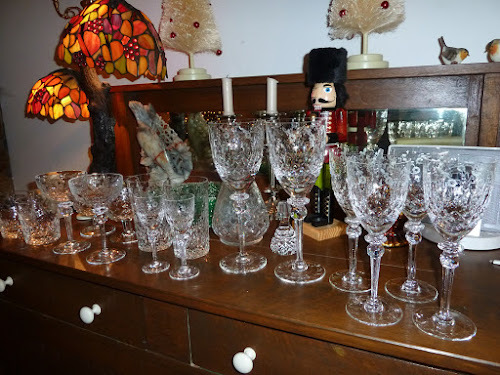 The crystal is 38 years old (purchased for our wedding) and the Wedgwood dishes are 73 years old. I love things with history, and a story. Wedgwood dishes are washed and put away!! Well, I'll be darned...look what we bought! !